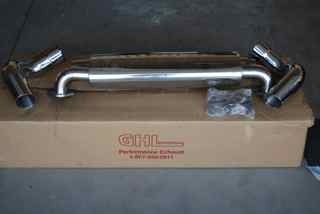 GHL Exhaust for sale & used B&B exhaust w/stock header 964, also willing to trade! I'm brand new to this list (first few months) so please bare with me, if I listed any this wrong or haven't provided enough information please feel fee to let me know, we all learn as we go. I have a brand new in the box GHL exhaust for sale that I bought when was rebuilding my engine on my (new to me) 1990 964 that I didn't end up using so know that the engine is done, it’s time to start selling off some of my spares that I acquired during the purchase and the build, so I can continue to move forward with my project. 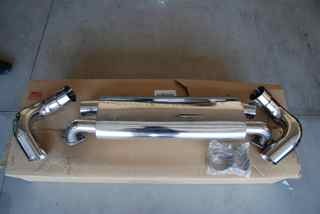 It retailed from GHL for $900 plus shipping, $650 plus shipping and it's sold, but you need their header or mid pipe. I also have a used B&B exhaust that came off my car when I bought it. The B&B is attached to my old stock header from my 1990 964 C4. It’s in ok shape , I have buffed the tips to make what's seen look a lot better, but it's used. It was purchased by the gentlemen I bought the car from, he paid over $1400 for it, (I got all the receipts from day one from the original owner) I'm looking to sell it for best offer, I'm not totally sure what it's worth, it still works great, sounds really good, but again, it used. So let me know if your interested in either, I will also trade for parts that I'm looking for, Turbo Mirrors (power, I have the old square mirrors) in silver preferably, different steering wheel (let me know what you have), new cross drilled rotors and pads (front & rear), shift kit (RS), and a few other odds and ends needed, feel free to email me if you have something to trade that will work on my 964. 18X10" 50mm Rear – about 19lbs. I used these as my track wheels. They are the lightest, strongest, and easiest to clean wheels that I've ever owned. They are lighter than my 17” factory cup wheels. They are track wheels but they still look good. They have some minor scratches, mostly on the outside edges from tire mounting. I ran them with Hoosier R6's 245/35 18 Fronts and 285/30 18 rears. On the rear I used a spacer that was a little over 6mm. My fender lips were rolled and I had a flat oil line on the passenger side. I was running about 2.5 - 3.0 degrees negative camber. They were tight but they fit. They come with a set of new steel powder coated open end conical seat lug nuts. You can not use Porsche ball seat lug nuts with these wheels. The come with a set of black anodized aluminum valve stems. These are not the cheap pot metal valve stems that come with most wheels, they a machined aluminum. 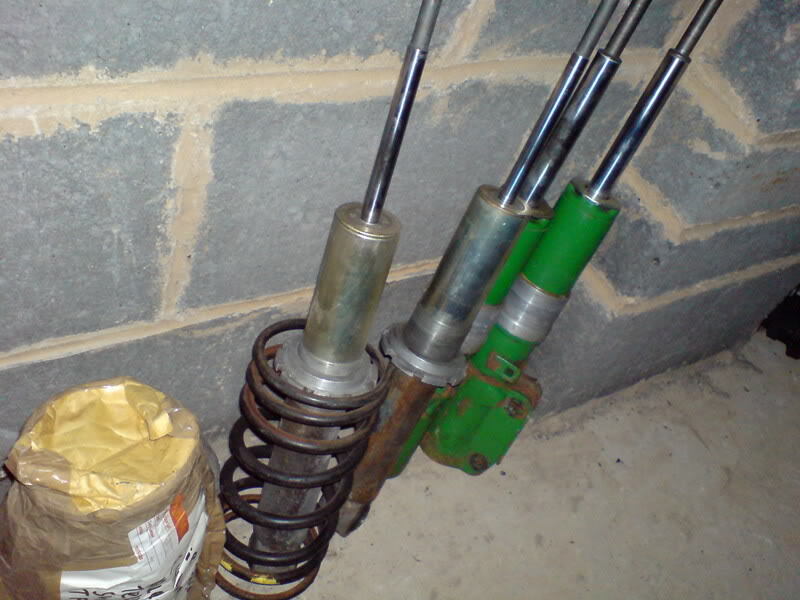 I bought Shocks from a Porsche 964 RS owner around a year ago. They were sold to me as 964 RS shocks with 25k miles usage before being removed to fit different ones. Last edited by Pesty; 11-10-2007 at 09:44 PM. Looking for Carrera Cup/Euro RS drop links for sway bars. WANTED: original Porsche radio with CD slot that fits easily in my 964 1990. My original mounts are shot (extended + small amount of fluid sloshing). Before I buy a new set of mounts ($$), I thought I would check first to see if any fellow Rennlisters would have an extra set gathering dust. I will consider OE mounts, Wevo mounts, RS. Since my car is a daily driver with only a few DE's planned, I would prefer the OE mounts, or Wevo w/ the black softer inserts (can buy new inserts). Also - will the 993 engine mounts work? The RS mounts fit 964 and 993, so I would assume that OE mounts will fit all? 993 OE mounts are less expensive. Looking for front protection bar (fpb), prefer Gerts. 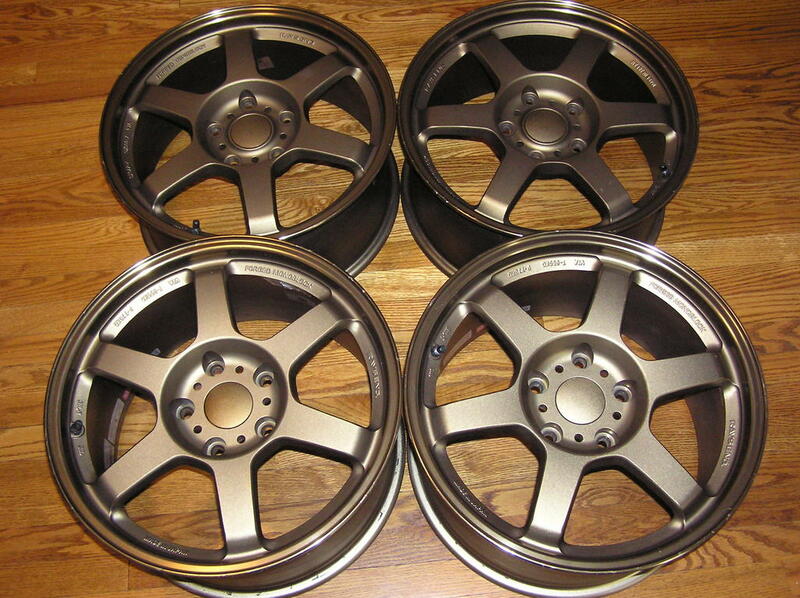 Looking for Porsche 5-spoke Cup wheels as "summer alternative" wheel set for my '89 C4. Running original D90s otherwise. Last edited by aircooler; 11-14-2007 at 06:28 PM. WTB - 2 rear H&R Green Springs that would fit 1990 C4. I have a used set of HR Greens that I purchased a while back and never installed. One question that I never checked out nor confirmed was whether this set was for the "old" style or "new" style rear fitment - or if there is even a difference in the springs. IF there is a difference - does anyone know the spring free length for the two applications.